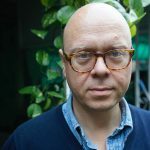 It is with pleasure that we introduce our AoM December, Carl Abrahamsson and his new book, Occulture – The Unseen Forces That Drive Culture Forward. 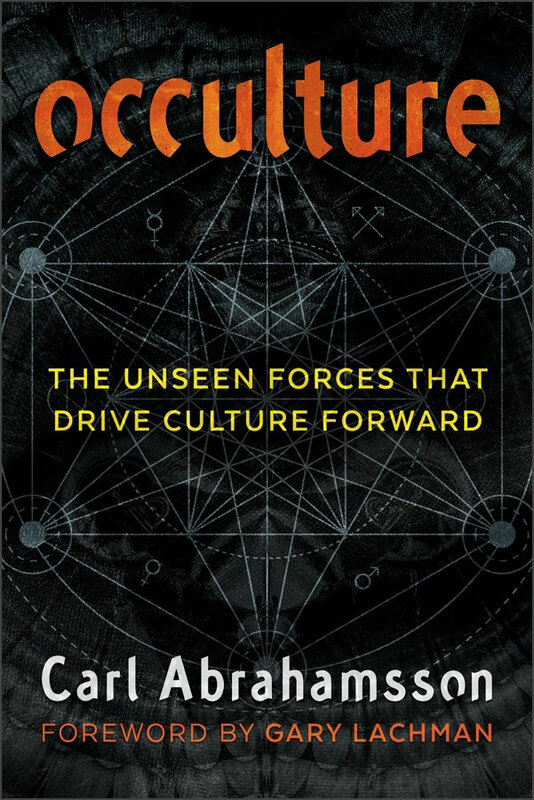 Blending magical history and esoteric philosophy, Abrahamsson reveals the integral role played by magic and occultism in the development of culture throughout history. It was undoubtedly an interesting process putting my book, Occulture together. Not only did it give me a chance to look back at lectures and essays from recent years, but it also presented me with a unique opportunity to (re)evaluate my own thinking about this most fascinating subject at a time when the very concept of “occulture” seems to be expanding quaquaversally all over the world; in academia, major exhibitions and popular culture. I was wholly immersed in all things occultural, inside my own sphere and outside of it, and I could finally put it all together in a book.I quickly found some red threads or unexpected consistencies. Though I had written about historical phenomena and people, I had allowed myself the creative slack to speculate under the umbrella of something that could be called “magical philosophy.” I realised that this was very much my background; a formulation of my own identity, if you will. I looked at people like Crowley, Steiner, Jung and even unexpected people like the American author Paul Bowles, and merged that historical perspective with one that asks questions like, “Why are people attracted to phenomena like magic and occultism?” and, “Is there more than meets the historical eye to these phenomena?” There certainly is; because whatever humans do, there is a magical thought or desire that drives it forward. What happened then was a result of decades’ worth of pondering and thinking. I realised that my youthful, early 1990s creation of the term “magico-anthropology” contained much more than youth- and zestful hubris. Magico-anthropology actually contains everything! Putting the book Occulture together made me see that all of human history can – and perhaps even should – be looked at through magico-anthropological goggles. Without them, only fragments or facets of history can be seen; without a full understanding of the “magical” perspective, one cannot scrape the surface of anything in human culture. To actively negate or distance oneself from it is to consciously not see the big picture. Regardless of whether we choose the natural sciences, arts and letters, or any other aspect of human endeavour, the creative spark always stems from a magical place. Even the fairly recent phenomenon of “empiricism” is rooted in creative speculation and desire. That’s one piece of this fascinating puzzle: wherever we look, we see a distinctly metaphysical origin. Chemistry has roots in alchemy; astronomy in astrology; clinical medicine in herbal, “natural” medicine; theatre in ritual; art in talismanic manufacture; writing in spell-work; psychology in healing; religion in magic etc., etc. This made me think that perhaps we should subordinate all these disciplines (perhaps even all academic disciplines) under the banner of Magico-Anthropology. Everything we do in life has motivations that are usually far deeper than the expressed, rational version of it. The further into ourselves we go, the clearer we see that there are deep-rooted issues relating to “survival” and “power” at hand; the instinctual morphs into the intuitive, which in turn morphs into the rational. It is on these same deep-rooted, instinctual levels that the “magic” exists. I choose to put the word in quotation marks; not to denigrate or diminish its value – quite the contrary; for it’s a phenomenon so ingrained in the human psyche that our contemporary, colloquial use of the term (so often imbued with banality or even ridicule) simply can’t do it justice. When we talk about magic today, people associate it freely with fairytales and movie franchises. “Mentalism” sounds like a disease, but it’s essentially a clever appropriation and development of the rabbit in the hat; magic proper lies much deeper than that. Magic is a perceptive mind frame, a multifaceted filtering of information, and an expressed, intuitive will churned through an optimised and quite often estheticised understanding of the importance of the irrational, emotional psyche. That magic is so dear to all human individuals has to do with the fact that just like breathing and eating, this mind frame is essential in the true sense of the word; it is needed for survival.What do we need for survival? On a strictly individual level, we need to satisfy our biological needs. But we also need to temper the panic of handling the threatening chaos outside of our corporeal sphere. This requires rational action but also a constant evaluation based on both sensual and mental impressions; these can’t be distanced from continual wishes for things, as well as safety and survival. Desire is always integrated in survival scenarios. On a group level, it’s basically the same but with an endlessly fascinating factor added: group dynamics. We absolutely realise that we can survive better together, but one’s own power within this dynamic or structure is even more important than the group’s. From this perspective, we have not evolved much at all since the early cave days. The King of the Hill rules supreme and gets the Foxiest Ladies; that is, until there’s a new king. All of the dramatis personae – the king, the ladies and the new king – use aspects of magic to enforce whatever is best for them: staged manipulation, sensuality, sexuality, and violence are just blunt euphemisms for ritual, perception, seduction and catharsis. At the same time, the players integrate an active use of intuition and reliance on “cosmic proxies” (such as calling on gods, forces, spirits, ancestors, etc.). Whether it’s reflected in fire, on a cave wall filled with primordial paintings, or in a steady flow of social media posts on a “smart” phone, the messages all convey the same: the struggle to be in the best position for one’s own survival and, in extension, for those one sides with (usually those that help you survive). The primordial dog-eat-dog scenarios didn’t really improve when humans banded together, got the agricultural train rolling and created BIG religions to alleviate the daily grind by simplified, moral(istic) proxy. In fact, that distancing from the uniquely individual or tribal perspective (which some would call “gnostic”) may have been very detrimental to holistic health—because one should never assume that those who claim good are good. They are as involved in their own magical thinking and power dynamics as you are, or as you wish to be. That this power-proxy developed in parallel with feudalism and its integration of serfdom is not a coincidence. These days, the occultural waves that splash our impoverished shores do so because we need them. These important reminders of deeper layers within ourselves, preferably untainted by religious layers of control, are necessary for us to re-evaluate what’s happening. Did someone miss that the planet we’re inhabiting is in dire straits? We could fix so many of its life-threatening problems, but with the further distancing of ourselves from the primordial appreciation of life, this won’t happen. What we need is an active reintegration of that deeper understanding that we are all connected. Holistic bliss. An empirical scientist can claim that it’s beneficial to breathe on a plant because it gets stimulated by our carbon dioxide and through the overall process of photosynthesis gives us oxygen back. A magical scientist would go further (and often does) by saying that it’s not just the breath but also what’s said that makes the plant say something back. Magico-anthropology always takes a deeper look at any facet of human life and culture, and it’s in that depth that we find the magic we need now more than ever. On a recent trip to Egypt, many of these perspectives literally came alive for me. 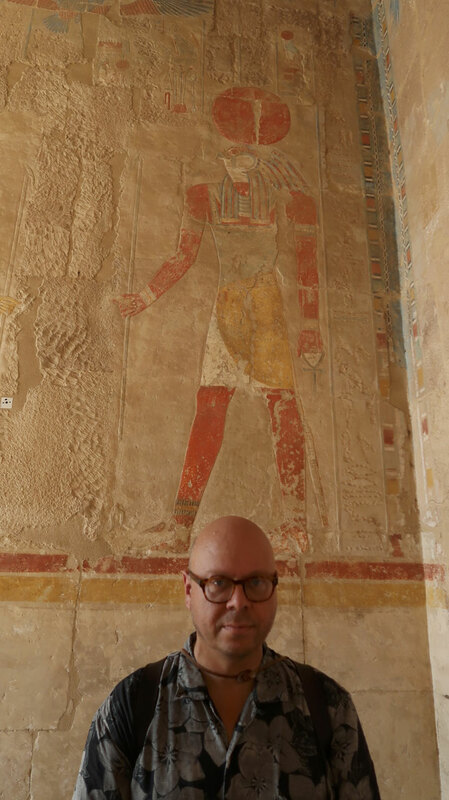 While traveling down/up the Nile and seeing all the beautiful temples and sites (some of which have survived for five thousand years! ), I was struck (again) by the need for a magico-anthropological filter. The Egyptian pharaonic culture was one steeped in magical sensibilities, credibilities and abilities, and we know this because of the occultural enlargement of the historical scenario. By constructing majestic edifices filled with statues, inscriptions and carvings they not only catered to their own immediate religious and magical needs; they also cater to us through these estheticised edifices. Their system allowed the pharaohs to become god-like travellers in-between life and death. That is, until they were taken out of their Sleeping Mummified Beauty scenarios and put on display in museums. The curses that originally protected them had an effect on those who literally unearthed the sleepers. Whether humorous and disrespectful or not, the curses are real enough to spawn an endless array of bad movies and other cheap fictional thrills. 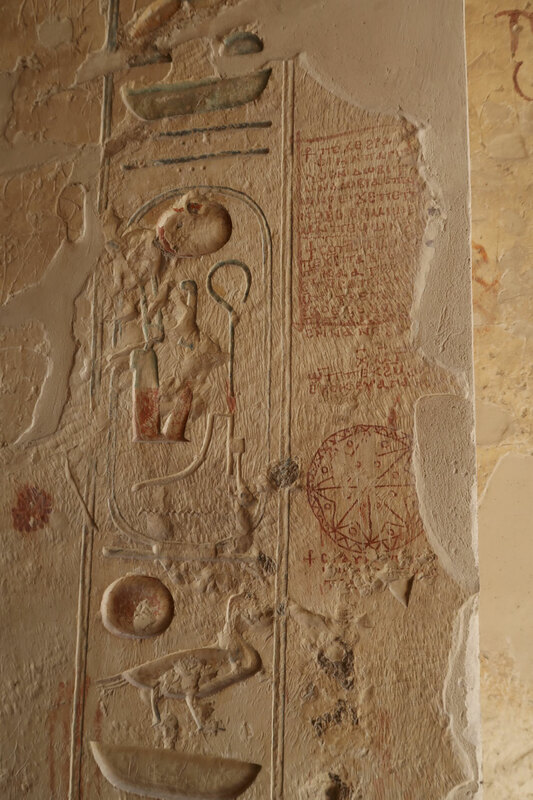 However, the pharaonic culture lives on because it was a culture, and a very well-developed one. The same could be said for many sites and buildings, including those of the spiritually more impoverished monotheistic religions, even. Beautiful thousand-year-old cathedrals and mosques still radiate human ingenuity and inspiration, and with an occultural sensibility for sure. But the present-day representatives of these faiths would never accept such an analysis or association, even though it’s the simplest thing to fathom. They are too immersed in their earthly power to go beyond any mechanical, physical limits. Their ancestors understood considerably more when they erected these edifices. They were aware of and, to an extent, also respectful of previous powers. Holy sites were very holy for the local people, and for the new imposed symbols to also become holy, they needed to be placed literally on top of the previous pagan ones. One example close to my home is Uppsala Högar (the Uppsala mounds) just outside university town Uppsala in Sweden. It used to be the (epi)center of Scandinavian paganism for hundreds of years (and was even “portrayed” – with massive doses of fictional licence – in the successful TV series “Vikings,” complete with human sacrifice and all). Today a Christian church stands right on the spot where the old temple used to be. This ultra-magical phenomenon of “constructive desecration” is also clear to see in Egypt. In many temples and tombs, early Coptic Christians had sought refuge from an assortment of enemies. But they just couldn’t remain grateful and respectful of the magical surroundings that kept them safe and alive. 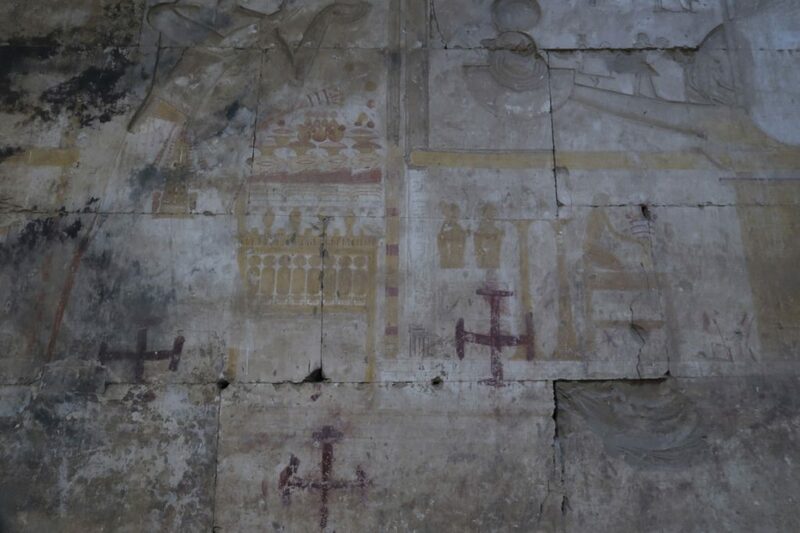 These early Christians had to ritually desecrate these places by graffiti and carvings of primitive crosses. 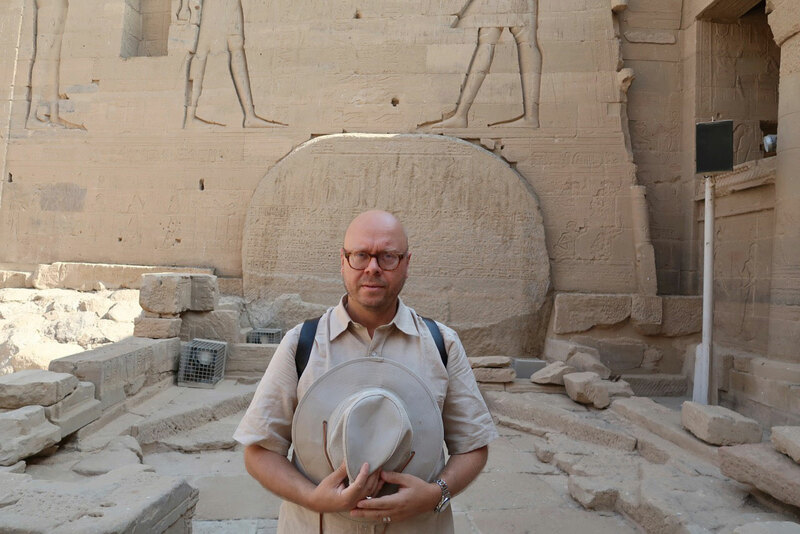 Today, some Coptics try to pay penance by integrating Egyptian wisdom and symbolism in their monastic life and works, like the interesting and magico-anthropologically sensitive Bishop Thomas at the Anafora Monastery, just outside of Cairo. Today, as if by some strange twist of karmic fate (or pharaonic curse), the Coptics are more persecuted in Egypt than ever – although by Muslims, not by people of the old Egyptian religion. What goes around comes around in whatever shape, I suppose. 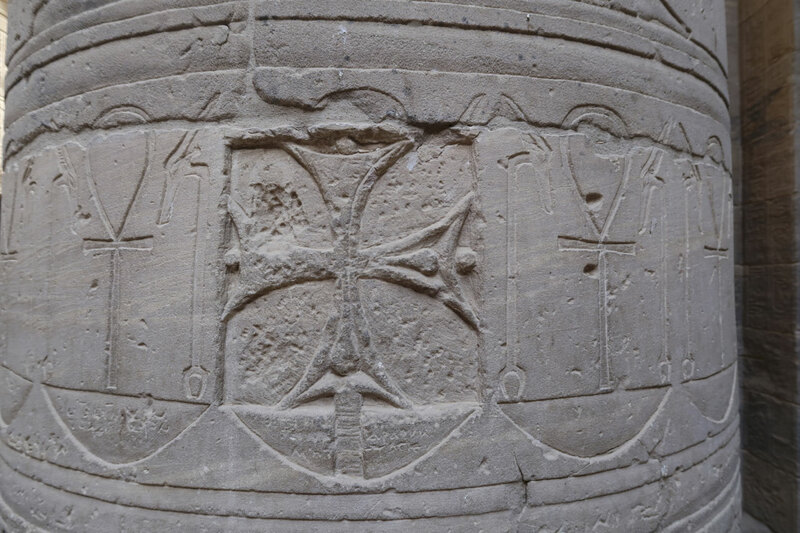 Coptic crosses on Egyptian walls and pillars. The fight for magical power goes on to this day. What I’m saying is that not even the major religions can eradicate the individual’s need to relate to the world magically. “Magical thinking” is usually looked at as something negative, but on a deeper level everyone knows that each empirical or tangible success stems from the same source or sphere as the child playing: the inner spheres of fantasy and desire; of empathy and imagination; of individual will and of creativity. How we actually deal with the findings of those processes is what constitutes our individual identities in life. When we are aware of what we desire beyond the most primordial state of yearning and apply our own creativity (no matter how primitive it may be) to it with a formulated will, we achieve a timeless formula for human greatness and success.Which brings us back to my book, Occulture. I realise that the book is perhaps not just a smart overview of things and people past, albeit inspiring, with some attempts at philosophy thrown between the lines; it may actually be my own desperate attempt to make people realise that it’s time to wake up to a scenario that can no longer be avoided by primitive escapisms. The situation needs to be addressed by looking at the past, and at why some cultures and attitudes manage to live on while others are as fickle and fated to be forgotten as a tweet from last week. There are distinct keys to survival. Two of them are magic in itself and its integration in culture. Hence “occulture.” Hence Magico-anthropology. That said, I wish us all the best of luck. A not so subtle attempt at wielding a new magical power. And you could add that physics has its roots in supernatural philosophy, which persists in standard quantum mechanics in the mysticism of the Copenhagen interpretation, in which wave functions are denied a tangible reality as in Bohmian mechanics, and instead are hidden behind the veil of objective reality. That directly leads to the magical thinking of Mitch Horowitz, who manages to propose a more realistic alternative to multiverses, despite not fully understanding what’s wrong with them: e.g. in being exceedingly magical for blatantly violating the conservation of mass/energy, which his alternative doesn’t do.